Season Synopsis: Following the devastating explosion on Lian Yu, Oliver Queen (STEPHEN AMELL) returns home to confront a challenge unlike any he’s ever faced: fatherhood. Oliver is determined to embrace this new role while continuing to serve and protect Star City as both Mayor and The Green Arrow. But past enemies – including Black Siren (KATIE CASSITY), Vigilante (JOHANN URB), Ricardo Diaz (KIRK ACEVETDO), Cayden James (MICHAEL EMERSON) and others – threaten him on all fronts. 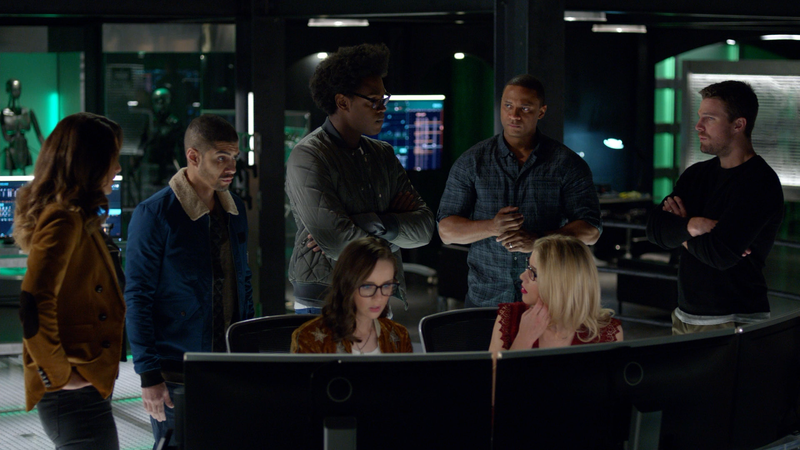 And bonds within the ranks of Team Green Arrow – veteran John Diggle (DAVID RAMSEY), Thea Queen (WILLA HOLLAND), tech genius Felicity Smoak (EMILY BETT RICKARDS), former police captain Quentin Lance (PAUL BLACKTHORNE), and brilliant inventor Curtis Holt (ECHO KELLUM), plus rookie recruits Rene Ramirez/Wild Dog (RICK GONZALEZ) and metahuman Dinah Drake (JULIANA HARKAVY) – have become dangerously decayed. Review: The CW channel has pretty much become the DC channel at this point with only two shows (Gotham and Black Lightning) appearing elsewhere (not counting the Vertigo projects). 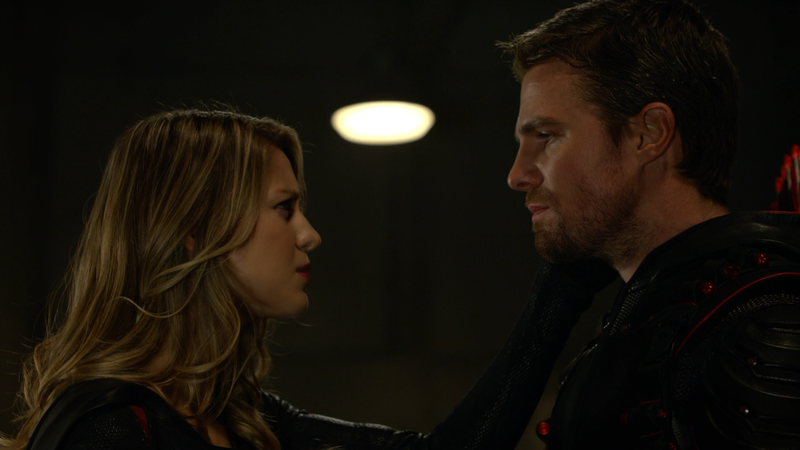 Of the other four, Arrow is probably my least favorite with some pretty poor dialogue and the acting and storytelling has delved into soap opera territory, with dead characters miraculously coming back with an evil doppelganger, this season the primary villain being Black Siren played by Katie Cassidy, and your lead character having a kid he knew nothing about. Having said all of that, can’t help but still be entertained by the absurdity of it all and sucked into a few of the storylines, such as Oliver being investigated by the FBI, either as being Green Arrow or being a mayor condoning vigilantism. 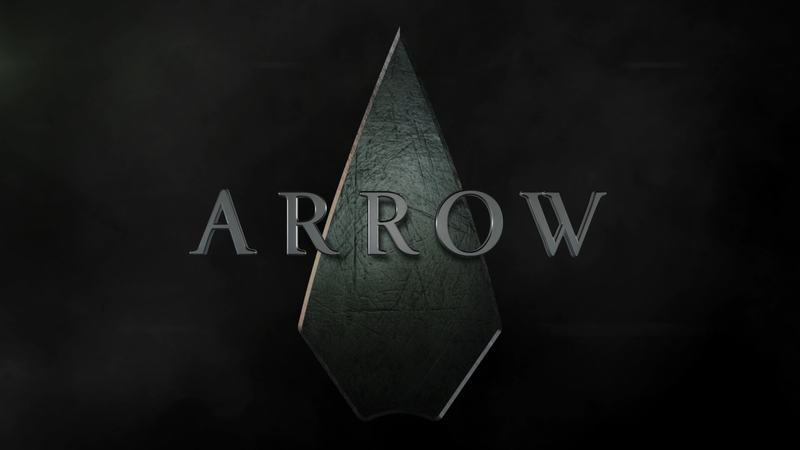 Where the show falters, however, is just the growth of the Team Arrow group, for me it’s become a bit too crowded and a couple of them, primarily Wild Dog, though with actress Willa Holland exiting as Thea Queen, hopefully this allows the ensemble to grow, though her presence will be certainly be missed. Outside of the other Arrow-ers, Stephen Amell served well once again in the lead and although David Ramsey’s John Diggle character dealing with his injury following the explosion on the island in the season five finale was, again, on the soap opera scale, I do like that character and actor, continuing to grow out of just some bodyguard that he began as in the first season. 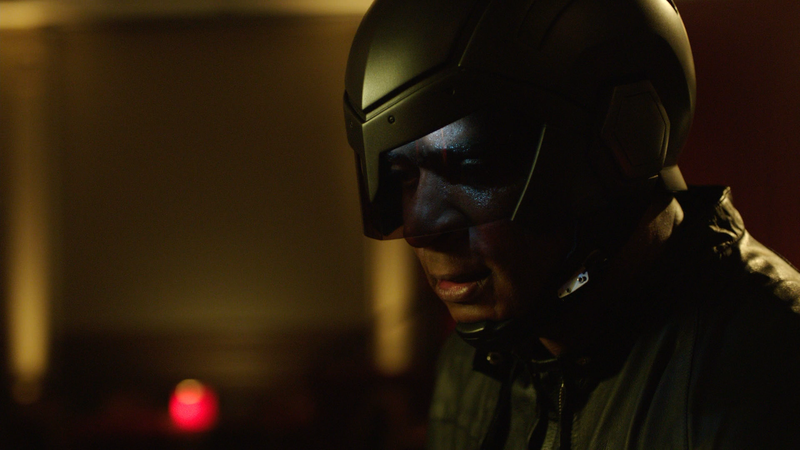 Arrow season six was probably a step up from season five — highlighted by the “Crisis on Earth-X” 4-part crossover — but this still remains my least favorites though still watchable and the nuggets or Easter eggs thrown in for DC fans does have the fun factor. This four-disc set is housed in a standard Blu-ray case that side-slides into a matted slip cover and included is a redemption code for the Digital HD copy. Before I get to the bonus features, in a pleasant departure from the last year, Warner thankfully has included all four of the cross-over episodes rather than making people purchase the other three season sets (or watch it online) to get the full story. The Split of a Man: Deathstroke (11:48; HD) looks at the two sides of the character, one a guilt-ridden killer and the other a father looking for redemption and how his journey serves as a cautionary tale for Oliver. Inside the Crossover: Crisis on Earth-X (41:59; HD) – Executive Producers from Arrow, Flash, Supergirl and DC’s Legends of Tomorrow discuss creating the monumental crossover. Revenge in Ones and Zeroes: The Story of Cayden James (10:52; HD) examines the hacktivist-turned-criminal mastermind and his journey of revenge. The Best of DC TV’s Comic-Con Panels San Diego 2017 (58:27; HD) is footage of the presentation at SDCC17. 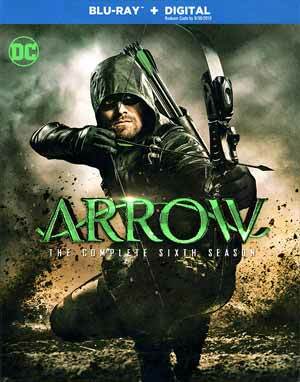 Arrow: The Complete Sixth Season is presented in its originally televised 1.78 widescreen aspect ratio and a 1080p high-definition transfer. Although the detail is pretty good and nicely defined and colors appear to be bright, even in some of the darker toned scenes, I did notice some artifacting, not sure if this due to the upscale from the 720p to 1080p or what, but it was apparent in spots. The included DTS-HD Master Audio 5.1 track is nothing special outputting crisp and clear dialogue levels however when there are action scenes, and even the score, was rather low key and even a bit muted. Surprisingly, the LFE channel rarely turned on so the depth was on the limited side. 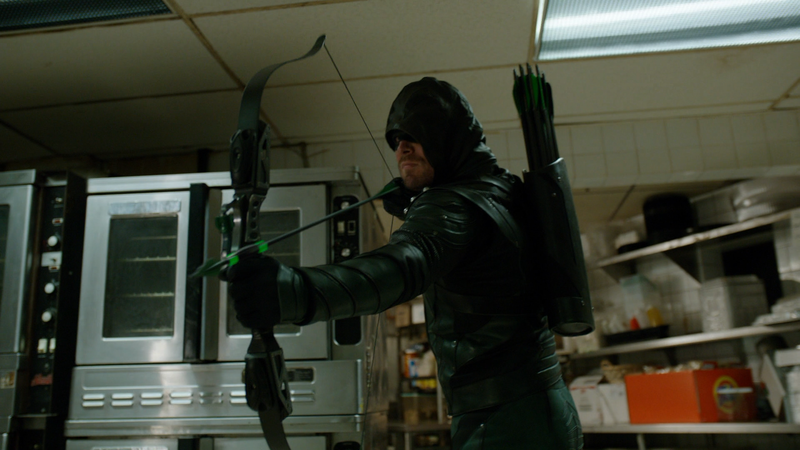 Overall, Arrow: The Complete Sixth Season isn’t at all bad, though like the previous years, feels a bit crowded with the amount of members on the “Arrow” team; beyond that, the soap opera like storytelling isn’t all that interesting, though I did thoroughly enjoy the four-part cross-over episodes. The Blu-ray release from Warner offers okay video and audio transfers and so-so bonus material.